Today’s consumers want it all: Fresh vegetables all year long, but produced regionally. What was a contradiction for decades, now has become possible, thanks to cultivation in closed systems. 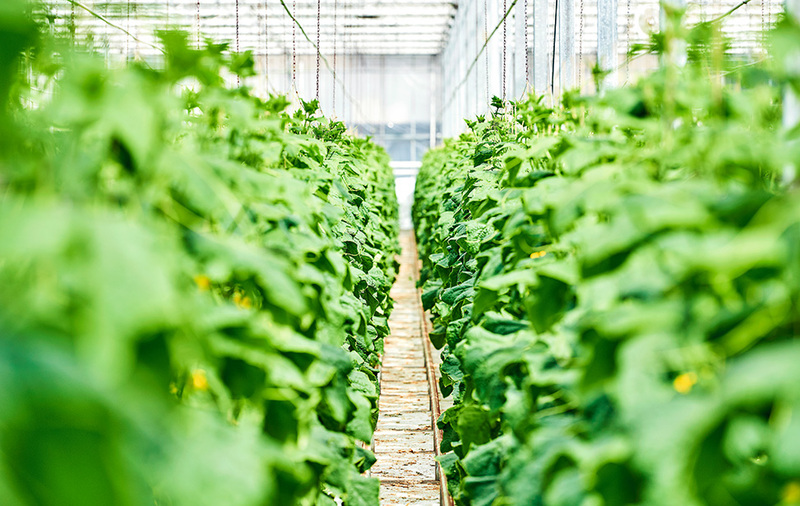 Already widely known in flower cultivation, PERLIGRAN® is a decisive help in enabling the continuous production of the most popular vegetables. Tomatoes, cucumbers or peppers can be grown regionally all year long. To ensure their successful cultivation in closed systems, an ideal substrate is needed. Here PERLIGRAN® offers the optimum quality for the cultivation of vegetables: It is based on perlite, a type of volcanic rock, and therefore a natural mineral product. Thanks to a thorough screening of fine grains, it guarantees best drainage, structural stability and ventilation. Besides fulfilling the requirements of the strict Dutch RHP standard, PERLIGRAN® also is the only perlite product that was added to the FiBL list as a soil additive for organic farming. PERLIGRAN® can be used in vegetable cultivation in its pure form but also in mixtures with coconut or wood fibre substrates – for example in grow bags, which become increasingly popular in vegetable farming. During processing, a special steaming technique is used that effectively neutralises viruses, fungi and bacteria. So even after a long time the substrate is safe from compaction through degradation. And as it dries more effectively, there is more fibrous root mass available to the plant. Perlite itself is an inert material and therefore inactive in all organic processes. Thus it allows for perfect control of the substrate and also for a reliable specification of fertilisers. In total the phytosanitarily safe product can be used up to five times after its primary use, helping to preserve valuable resources. And afterwards it can easily be disposed of, as it is 100% compostable. PERLIGRAN® is the substrate of choice, when it comes to 365 day vegetable farming.